4 Players work for 5 shots striker comes towards ball spins second striker sets for shat and move right or left and delivers ball wide for cross both strikers get back on side before cross. opposite wide player comes in. then repeat on opposide side. 4 players have five shots and crosses between them with crosses and shots. then next 4 come in. turn in to a competition with 4 scores more of comp with keepers clean sheets. 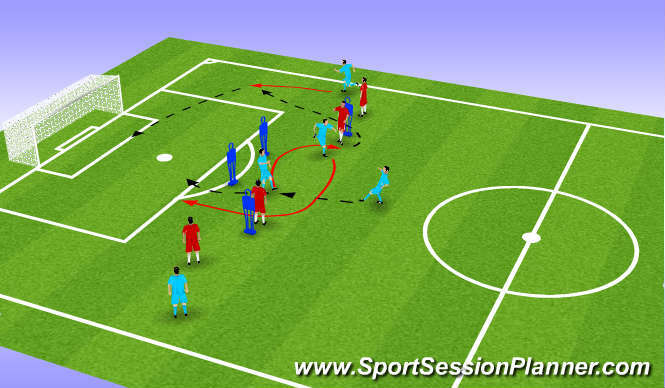 movement to create space, movement to loose defenders.